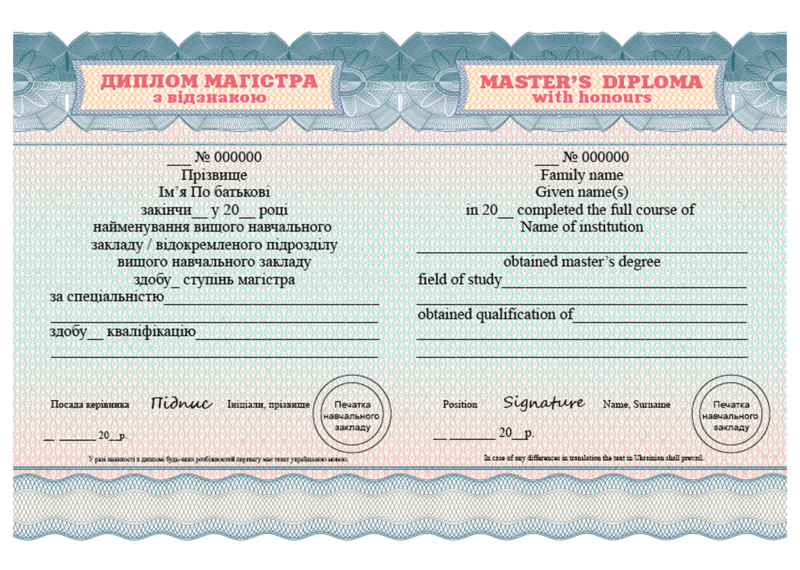 Master’s degree with distinction. Front side. 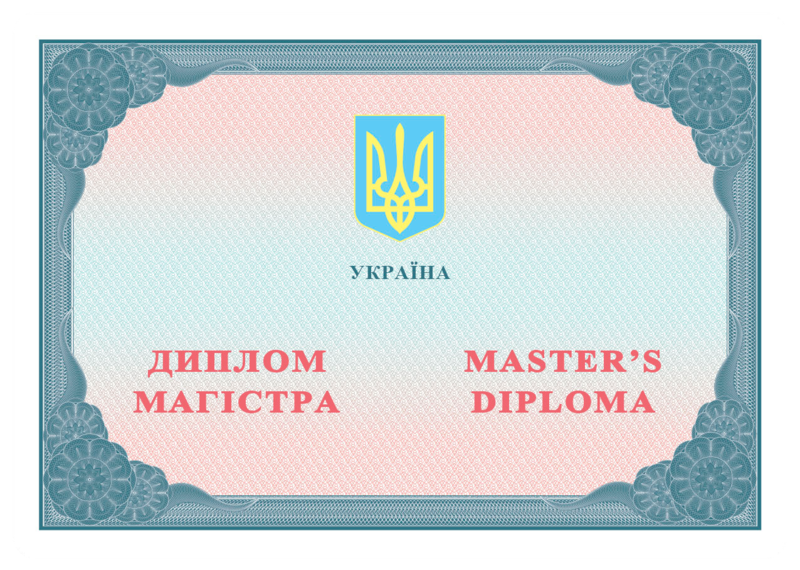 Master’s degree with distinction. Back side. 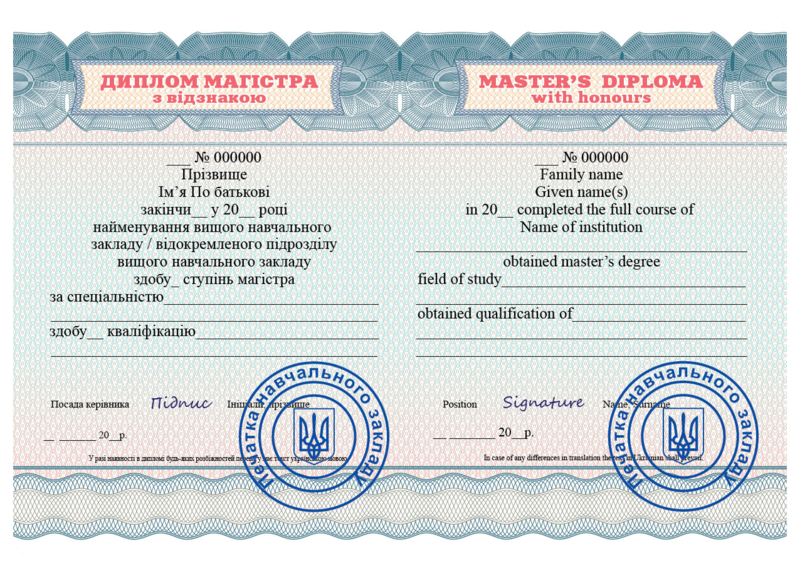 Education document of state standard, of a person who on the basis of educational qualification of bachelor received complete higher education, special skills and knowledge required to perform professional tasks and responsibilities (work) innovative nature of certain level of professional activities that are provided for primary positions in a certain form of economic activity. These educational – professional program of preparation of masters includes in-depth fundamental, humanitarian, socio – economic, psychological and pedagogical, special and scientific – practical training. Higher education institution implements educational – professional training programs for masters on specialties of IV level of accreditation. Master’s degree with distinction are getting people who have demonstrated high success during training and excellent passed state certification in the relevant field of study and qualification of master’s.